My hero! What do female readers relate to in male characters? 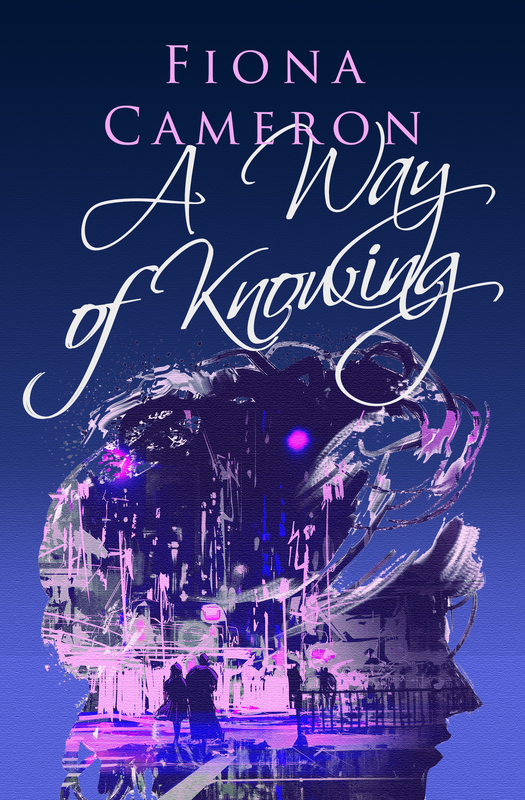 As I completed my latest novel (‘A Way of Knowing’, due to be published shortly), it struck me that I’m guilty of giving my male leads one common characteristic: they all love to cook, and/or are competent cooks. I also have a theme running somewhere in my head about the ironing of shirts. My first short story to be published, back in the 1990s, hinged on the theme of a woman (clearly in a very unhappy marriage, with an over-controlling and critical husband) who finally recognises that her marriage is a sham when she fails to iron one of said husband’s shirts to his satisfaction. The same scenario crops up in ‘The Swan Widow’. When I realised I’d incorporated another reference to this is the latest book, I promptly hit the delete key! So I’ve been asking myself: why do I have a ‘thing’ about men who can cook, and want their shirts ironed to perfection by the women in their lives? Probably a combination of wishful thinking and autobiography. I’m not one of nature’s enthusiastic cooks. My family members have never starved or gone down with food poisoning, but I’ve always regarded cooking as a necessary evil – and have never managed to marry a man who can do much more than wield a tin-opener. My father was probably at least as competent as my mother in the kitchen, but hardly a role model for all my fictional men who can whip up cordon bleu meals without breaking a sweat. So very much a case of ‘Oh, I wish…’! The recurring theme of shirts is more obscure. Again, I regard ironing as something to be avoided except in dire necessity, and when I inherited a household that had ‘a woman in’ to iron everything – and I mean EVERYTHING: she even ironed socks – I soon put a stop to that. ‘Minimum care’/’non-iron’ are my favourite labels. Needless to say, I raised my sons to iron their own shirts if they needed ironing (as did my father – he even ironed my school blouses). So not quite sure where this trope originates. My modern-day knight in shining armour can clearly handle the griddle-pan and the iron as competently as the sword (and keep his own armour polished, by the way). His skills in the kitchen and utility room are possibly as important as his skills in the bedroom, as far as my female characters are concerned. I realise that this puts me beyond the pale as far as many readers of mainstream romantic fiction are concerned, but hey, it would be a tedious and monochrome world if we all lusted after the same men. Like all authors, I tend to be paranoid about getting my books reviewed on Amazon, because so many people (not just readers, but booksellers, agents, God Almighty for all I know) judge the worth of a book by the number of such reviews it has (quantity seems to count at least as much as quality!). It’s a road beset by obstacles. For one thing, reviews posted on one Amazon site (for example .com) don’t show up on the others such as .co.uk, so the author has to pray for large numbers of people on both sides of the Atlantic to post reviews. For another, not all readers want to post a review – not because they don’t like the book, but because they are just not review-posters. I have to admit that, although an avid reader, I very, very rarely post book reviews on Amazon. Thirdly, some reviews are so brief or off-the-wall as to be of no real use in guiding prospective readers (or providing feedback to the writer!). A really competent Amazon reviewer is worth her/his weight in rubies. I would never BEG for reviews. I know this puts me in the dunce’s corner as far as “book marketing” is concerned, but it seems to me like terribly bad manners, and from what I’ve read, Amazon has its little ways of detecting reviews of the “friends & family” type, and it removes t hem! In any case, many (most?) of the books I admire most have very, very few reviews on Amazon. So I’m becoming a bigger and bigger fan of NetGalley, that amazing website for librarians, the book trade and bona fide reviewers. Although not everyone who downloads a book reviews it, and although some only award a star rating rather than writing a review, there are pearls to be gleaned – and most reviewers also post on other sites: Goodreads, their own blogs or Amazon (much more commonly on the .com site, unfortunately from my point of view). Reviewers on NetGalley have so far provided me with some cracking good feedback on The Swan Widow and By Heart. It’s expensive to list books on the site, but I belong to a romance writers’ co-op, which makes it affordable. I’m sure there are similar co-ops for other genres. A Sensible Woman is also listed at the moment, via an agency, and I’m keeping my fingers crossed for good feedback on that too. Because, in the end, I’d rather have a really thorough-going review from a single reader who has enjoyed my book (or even one who has hated it, but takes the time to tell me why) than a dozen who write things like “I didn’t like this book, because the postman had dropped it in a puddle” (I kid you not – I have actually seen this on a 1* review; thank goodness, the postman’s managed to keep mine out of puddles, as far as I know). The paperback version of A SENSIBLE WOMAN is now available via Amazon! It will also be in bookshops from the end of February. Many thanks to all those who helped me get it to this stage: Helen, Lin, Leigh Anne and Jessica! It’s available at a special pre-order price until 7th February! The paperback version will be available soon! If you’ve read White Cranes Dancing or The Swan Widow, you’ll recognise a couple of the characters in A Sensible Woman (both human & feline!). My fifth novel, A Sensible Woman, is due out soon! Watch this space for updates on the publication date. It is set in one of South West Scotland’s prettiest small towns, and it takes forward the story of Fergus Learmonth, whom readers have already met in White Cranes Dancing. Suffice to say, Fergus finds true lurv at last! Several readers have told me they’d find a family tree of the MacKenzies of Balvaig (the family very much at the centre of both White Cranes Dancing and The Swan Widow) useful. I have now added one – accessed by a link from the Balvaig Trilogy page. You can reach the family tree directly here.